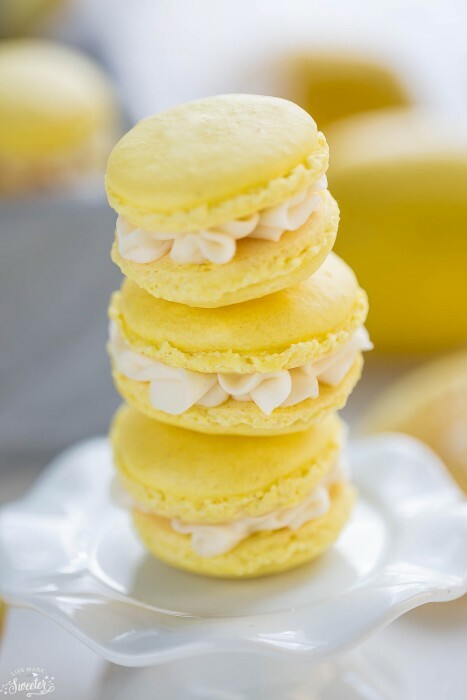 Gluten free lemon french macaron shells filled with a vegan coconut buttercream frosting make a delectable and sunny sweet treat. No matter how many times I make french macarons, I always breathe a sigh of relief when I open my oven door and see that they baked up okay. Natalie actually had her adorable baby boy in November, Izzy is having a baby girl and Jess is having a baby boy. They are all first time mamas and we couldn’t be more excited for them! 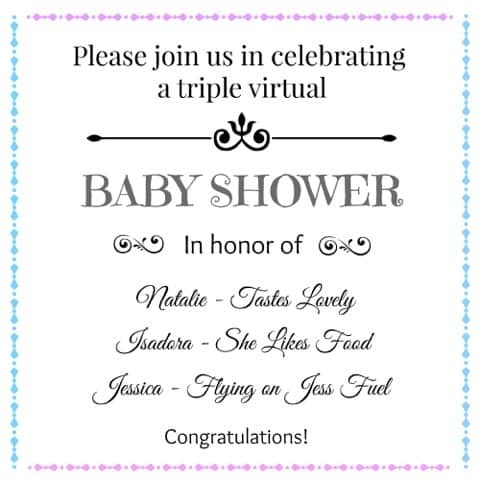 Scroll down to the end of the post to see what other tasty bites everyone else “brought” and don’t forget to stop by Natalie, Isadora and Jessica’s blog to wish them all the best. 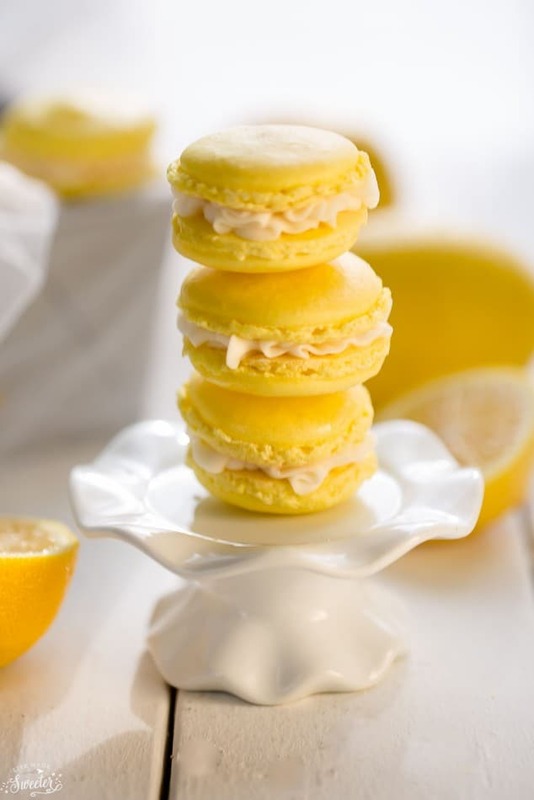 Lemon is my favorite and always reminds me of spring and happy beginnings so when I was trying to think of what to make for the shower back in November, these Lemon Macarons just seemed like the best fit for this occasion! I’ve been dreaming about spring lately and these are just full of bright and refreshing flavors in every bite! I infused the gluten free shells with lemon zest and lemon extract and filled them with a dreamy vegan coconut frosting. 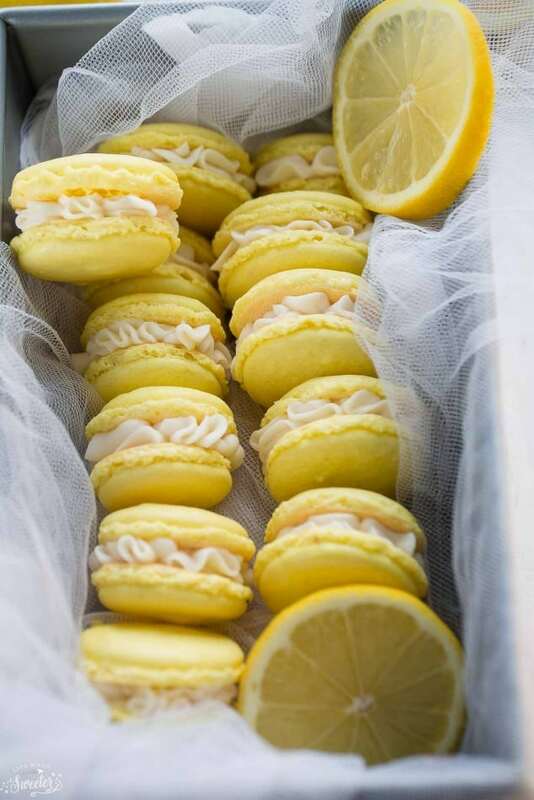 Lemon french macaron shells filled with coconut buttercream make a delectable and sunny sweet treat. Measure the almond meal, powdered sugar, and place into the bowl of a food processor. Process the mixture finely, then sift through a fine mesh sieve discarding any large bits. Set aside. With a stand mixer or hand mixer with the whisk attachment, whisk egg whites at medium speed with cream of tartar until the egg whites begin to foam. Slowly sprinkle in superfine sugar. Slowly increase speed to medium-high and beat until a firm meringue forms with stiff glossy peaks. Add lemon zest, lemon extract and food coloring gel if using and whisk until incorporated. 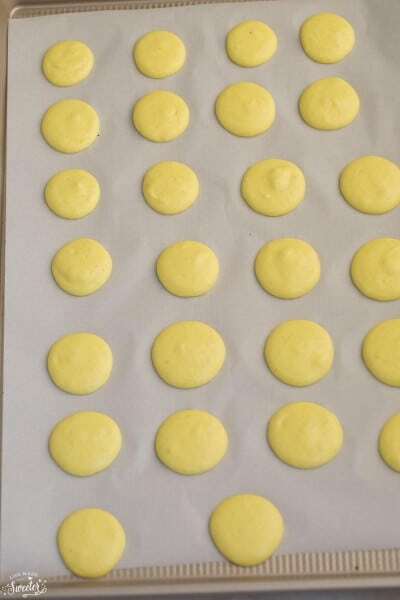 Pipe rounds onto prepared baking sheets, leaving space between the macarons to allow batter to spread. 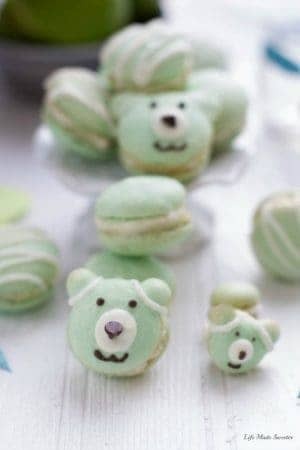 Once all macarons have been piped, pick up baking sheet with both hands and tap it firmly on counter several times. This will remove any air bubbles. Let macarons sit for 30 minutes to 1 hour, depending on humidity levels. The macarons are ready to bake when tops are no longer sticky to touch. 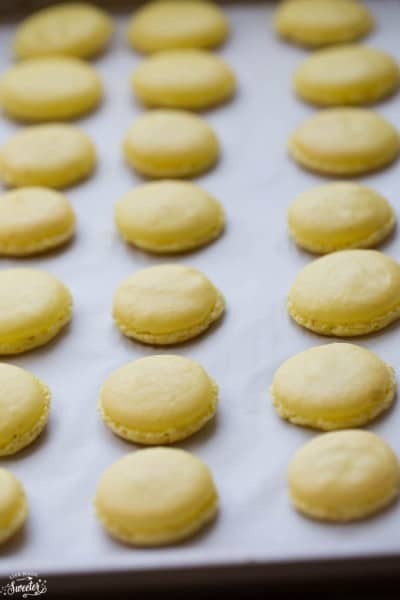 Preheat oven to 300 F. When macarons are dry to the touch, bake *both trays at same time (*if your oven has room, otherwise bake one at a time) for 12-14 minutes, rotating trays after 10 minutes. 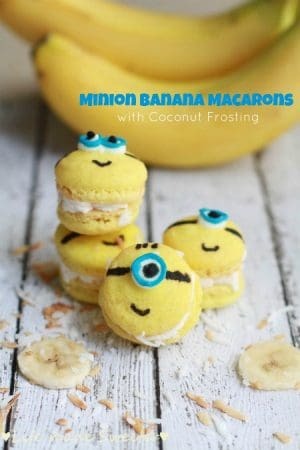 Let macarons cool completely on parchment paper before removing and filling. In the bowl of a stand mixer fitted with the paddle attachment, beat the coconut oil until it has become smooth and lump-free. 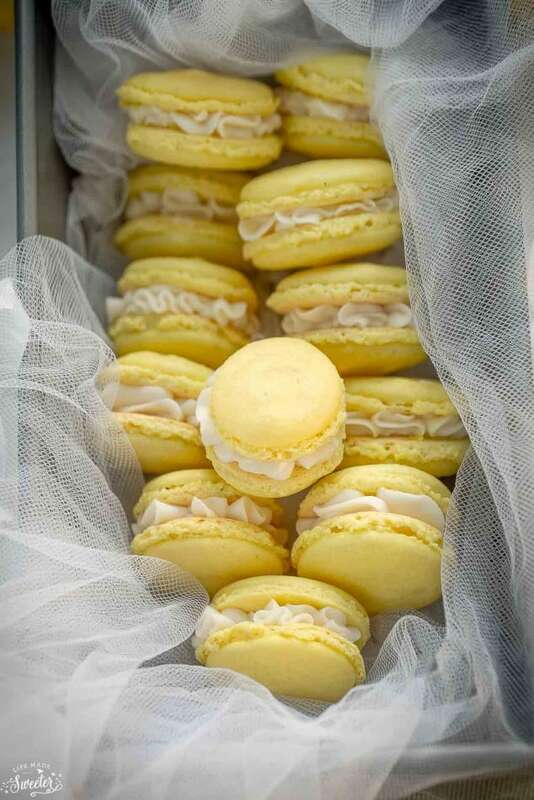 Store the filled macarons in airtight container in the fridge for up to 5 days. Lemon Lime Bars – Bake. Eat. Repeat.